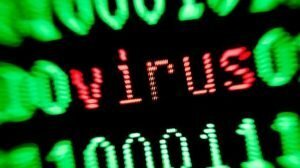 No matter what type of virus or malware has infected your system we can remove 100% of the infections. We can check for all types of Virus and infections including Spyware, Keyloggers, Potentially Unwanted Programs, Trojans, Worms, etc. If you have made a payment to these people, please call the bank and tell them you believe that you have been scammed by fake Computer Support company who called you out unexpectedly, saying there is a fault with your computer. Sometimes these infections can cause damage to the operating system in which case we will need to restore the Operating System after clearing out the viruses and ensuring your data is clean with no infected files remaining on the system. Has someone hijacked your machine and locked you out so you can’t access your data? Did you receive a scam telephone call from someone claiming to be from a reputable company like Microsoft? These telephone scams are more and more common and we deal with a large number of people who make the mistake and give access to their system. Sometime people receive an unexpected telephone call from someone telling you that there is a problem with your computer, the best thing to do is just hang up the phone or even tell them that you don’t have a computer. They will try and convince you that they are genuine and gain your trust in order to get remote access to your system, then try to take a card payment from you for fixing problems that don’t really exist. If you have made a payment to these people, please call the bank and tell them you believe that you have been scammed by fake Computer Support company who called you out unexpectedly, saying there is a fault with your computer. If you have allowed someone access to your machine, please ensure that you don’t use it until we have checked it to ensure that it is clean and safe to use. If you do continue to use it you are at risk of someone monitoring and logging your usernames, passwords, bank and card details. We can check for all types of Virus and infections including Spyware, Keyloggers, Potentially Unwanted Programs, Trojans, Worms, etc. If you have made a payment to these people, please call the bank and tell them you believe that you have been scammed by fake Computer Support company who called you out unexpectedly, saying there is a fault with your computer.